Intel yesterday announced new prices for its chips range which included many new mobile processors for laptops and tablets. With the tablet market heating up Intel is bringing in new processors beat the competition. 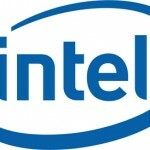 Intel introduced two core i5 mobile chips for notebooks. The i5-580M and the i5-560M. The i5-580M packs a punch with a 2.66Ghz processor running two cores and four threads and a 3M L2 cache. It is priced at $266. The i5-560M is set at about $225 with similar specs. For tablets Intel has the i5-560UM mobile processor with a 1.33GHz clock speed and a 3M L2 cache. It is priced at $250, slightly expensive than the i5-580M which has twice as much speed. Two new i7 chips were added, the i7-660LM and the i7-680UM. The i7-660LM has a clock speed of 2.2GHz while the i7-680UM has a clock speed of 1.46GHz. Both processors have a 4M L2 cache and run on two cores and four threads. They are priced at $346 and $317 respectively. If you are on a budget, Intel’s Celeron range is still the cheapest to buy with two new entries, the P4600 and T3500. The p4600 has a clock speed of 2GHz, a 2M L2 cache, two cores and two threads and retails at $86 while the T3500 clocks in at 2.1GHz with a 1M L2 cache, two cores and two threads and is available for $80. Previous U.S. Government Wants to Read Your Emails, Facebook!